Larry Allen McCue went to be with our Lord on Saturday, October 27, 2018. He was born to Maurice and Blanche (Gaskill) McCue on December 10, 1936. He grew up in Moscow, Ks, helping in the family grocery store and with the summer harvests. High school meant dating, basketball, track and school plays in addition to his studies. He was proud to have received an appointment to West Point Military Academy and spent a year in prep school in Washington D.C. prior to West Point. 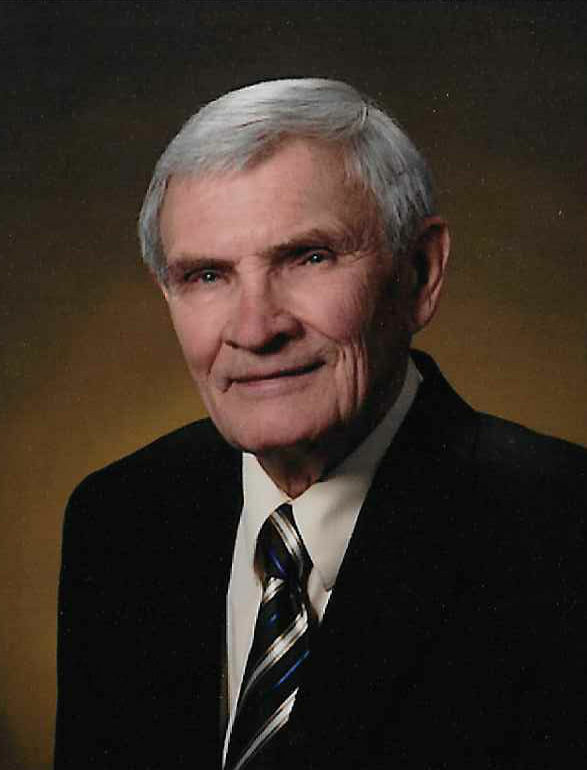 He attended there one semester and graduated from the University of Kansas with a degree in accounting in 1959. He met the love of his life in Topeka, KS, and married Sylvia Morton on February 11, 1961. The next few years brought 3 daughters and a move back to Southwest Kansas where he was a CPA in private practice, then eventually worked with his lifelong friend Gary Chaffin as controller for a chain of discount stores. Never afraid to begin something new, he went on to own and run a restaurant in the ski town of Red River, New Mexico, but pursued his lifelong passion of following the stock market when he went to work for Edward Jones in Garden City, Kansas. He loved his family and loved to travel, frequently joining the two by paying for large family vacations so that everyone could enjoy traveling together. He saw much of the world but enjoyed spending time with his children and grandchildren most. He was preceded in death by his wife, Sylvia, his brother, Richard McCue, sister, Janice Sheffield and son, Brent McCue. He leaves his three daughters, Amy (husband, Keith) Johnson, Jill (husband, Todd) Davidson, and Lisa (husband, Dr. Thad) Hardin, and son, Brock (wife, Ana) McCue as well as his grandchildren, Nicholas Peters, Noah and Aidan Davidson, Allison, Gavin, and Gage Hardin, and Jason, Tara, and Ryan McCue. Services will be held at First United Methodist Church in Athens, TX, at 3:00 p.m. on Thursday, November 1st. Visitation will be held from 12:30 – 1:30 at the church, on the same day. There will be a graveside service held in Moscow, KS, on Sunday, November 4th at 2:00 p.m. Guests are welcome for visitation after the burial at Moscow Methodist church. In lieu of flowers, donations may be made to the Henderson County Humane Society, the First United Methodist Church in Athens, TX, or the Moscow Methodist Church in Moscow, KS.